Stonebridge Community Association is offering a sponsorship for school-aged residents of Stonebridge, to assist minor residents in the Stonebridge community to fulfill their goals to excel in an extra-curricular activity of their choosing, that will contribute to providing team spirit, skill development, self-esteem, impart knowledge to others and/or create a platform for youth to exhibit their talent. The Stonebridge Community Association will offer a maximum of three (3) scholarships per fiscal year (July 1 – June 30), with the total amount of each not to exceed $500.00. Must be a resident in Stonebridge for (at minimum) the preceding 12 months. As the recipient of the award, you will be featured in one of the quarterly newsletters to highlight your achievements and to showcase the local talent your community is helping to support through the Stonebridge Community Association; and you may be called upon to volunteer (time permitting) at a community association event as a local ‘celebrity’ and mentor for the children within the community. All applications must be submitted to the board for review with potential recipients being asked to present, in person, at the next scheduled board meeting. 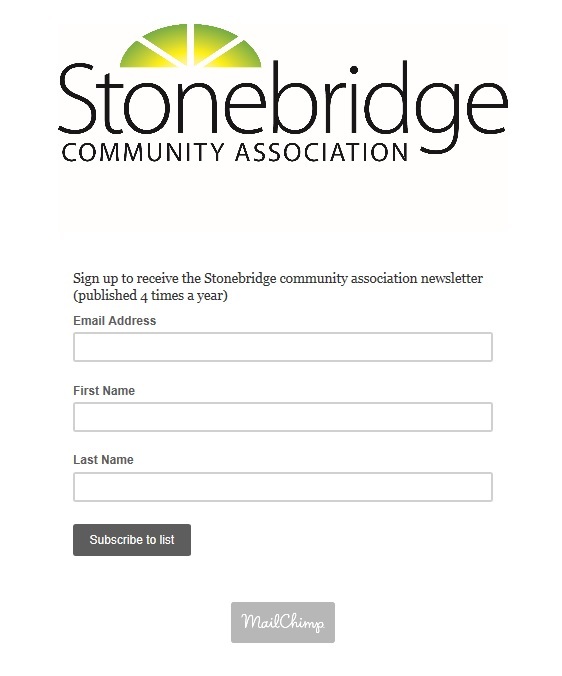 The Stonebridge Community Association will assess the applications individually based on first come first served in addition to the above criteria, and only those eligible will be contacted for further information.